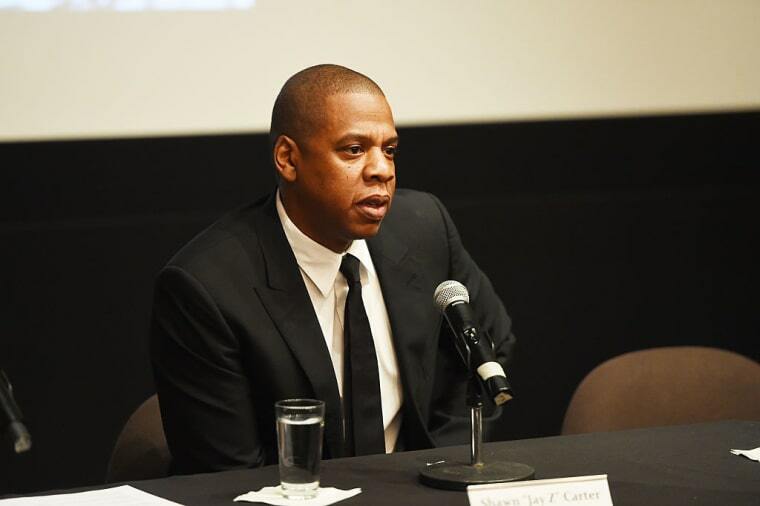 At a press conference announcing his documentary series on Kalief Browder’s life in New York, Jay Z answered questions about police brutality. “Having the camera on someone creates more distrust,” he said. Jay Z and The Weinstein Company held a press conference in New York City on Thursday to announce their upcoming television documentary series about Kalief Browder, which will air on Spike TV in January. Browder was arrested at 16 years old and was imprisoned on Rikers Island for three years without conviction, spending over 1000 days in solitary confinement with no set date for a trial. He was released in 2013, and took his own life two years later. During the press conference, Jay Z answered questions from reporters about upcoming projects, the killing of black Americans by police, and the upcoming presidential election. When asked by a reporter from CNN what he thought the answer to "stopping police brutality against African-American men" in this country was, Jay Z stressed that "compassion" and respect from "both sides" is what is most important. He also spoke on the use of body cameras on police officers. When you have compassion for what someone goes through — we’re all looking for a short embrace at time. Judgement is the enemy of compassion. When you are able to identify that…we’re all not perfect, we may make mistakes. All of us, every single one of us. When you have compassion for what someone’s going through and their plight, my personal belief, having the camera on someone creates more distrust. When we have an exchange and it has to be recorded, something’s wrong there, something’s broken. A camera can’t fix a relationship between a person that’s hired to protect and serve and society. There has to be a relationship. There has to be respect on both sides. 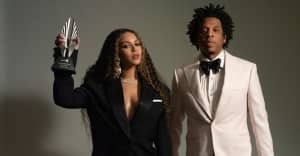 In response to a question from The FADER, regarding which candidate he felt would best continue President Obama's reforms of the criminal justice system, Jay Z did not endorse a candidate by name, but said: "We have hopes that we're all moving forward as a society. It's not a political issue, it's a human issue." In his initial remarks to the press, Jay Z told the crowd about meeting Kalief Browder after reading The New Yorker's landmark profile about his life. "We met and I wanted to give him words of encouragement, that I saw his story, and that I'm proud of him for making it through, and to keep pushing," he said. His comments, in full, are below. I look at Kalief Browder as a modern day prophet. Our prophets come in many different shapes, forms, or mediums. This young man just by the fact that he brought all of us here today lets you know how powerful of a soul he was. I came across his story in The New Yorker and I called Chaka Pilgrim, who has worked with me forever. She's sitting here today. I said, "I need to meet this young man, can you find him?" I was thinking that it would take a while and my phone kept ringing. I didn't answer because sometimes I don't answer her call [laughs]. She kept calling so I knew it was important. I was like okay, you're not going to believe this. She was at another event and she ran across his lawyer who was helping him out, he's a brilliant young man who was helping Kalief seek justice. It was meant to happen. Kalief came to the office and we met and I wanted to give him words of encouragement, that I saw his story, and that I'm proud of him for making it through, and to keep pushing. He told me that he was going to college. This story, in the movies it would've ended differently. I got a call from Chaka and she told me that he had taken his own life. I was thrown of course. I was asking myself, this story doesn't end like this, it's not supposed to end this way. That's not how the story goes. Not in the movies, not in real life. Shortly after things start happening, Obama starts talking about a crime bill and eliminating solitary confinement for minors. I know that was Kalief. All of these things start happening and we came across these fabulous filmmakers and everything started happening the way it should have been. I knew right there that he was a prophet. Some of my prophets go in tragedy, Martin Luther King ends tragically but what comes from it, the life and the next iteration and the lives saved and how this man has moved culture forward is incredible. And I think you [to Venida Browder, mother of Kalief] should be and you are incredibly proud of your son and what he has accomplished, I know it's difficult to you and your family to not have him and not be able to speak to him but he's here. He's here today and he's done more in 19 years than what a lot of us will do in a lifetime, so on that note, I would like to thank you for bringing us Kalief's energy in this world.